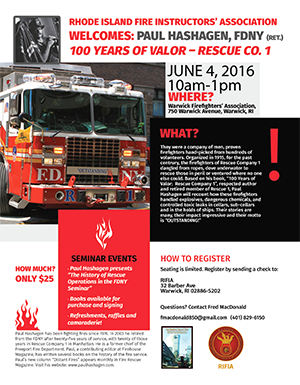 On 4JUN, the Rhode Island Firefighters’ Instructor Association will welcome Paul Hashagen as he presents “100 Years of Valor – Rescue Co. 1.” Come join us for this memorable and enjoyable event. Download flyer for full information. See you there!